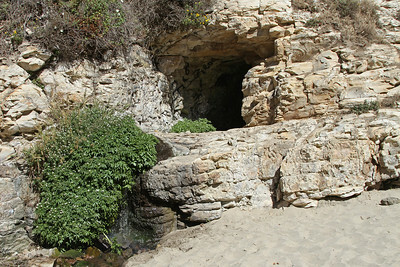 The Ocean Shore Railroad, intended to link Santa Cruz and San Francisco along the Pacific Coast, was completed between Santa Cruz and Swanton in May 1906. 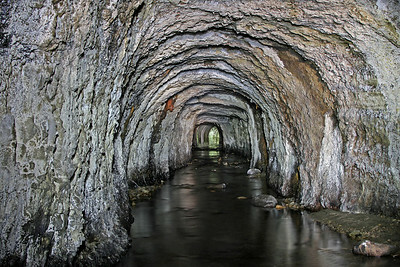 To obtain a level grade and minimize curves, the railroad built large fills over several creek valleys along a three mile stretch near Davenport. 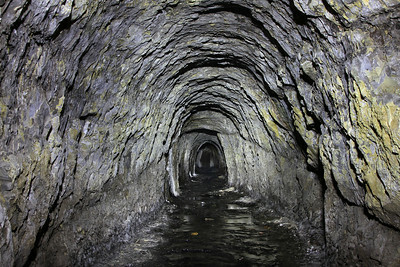 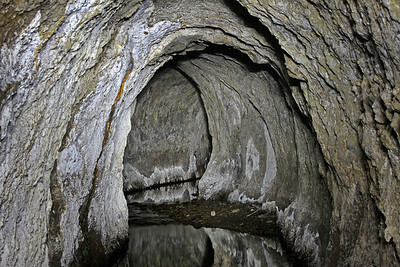 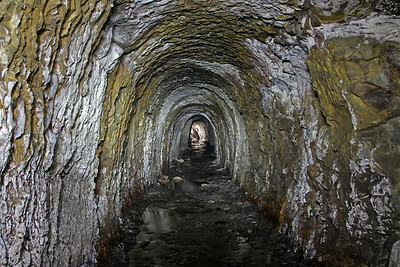 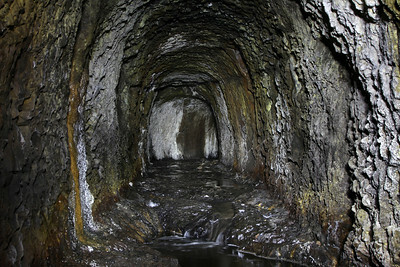 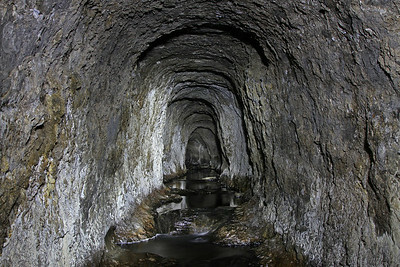 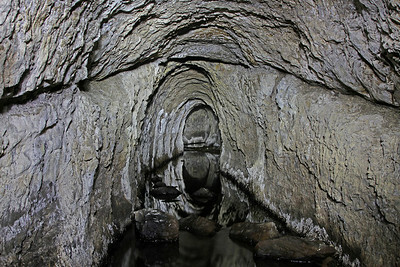 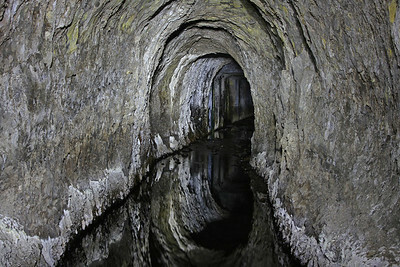 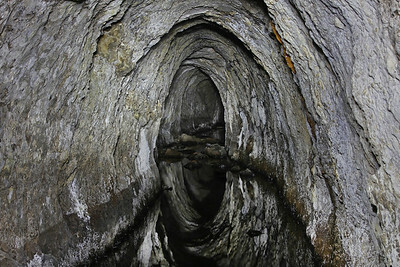 This required the unique construction of at least six tunnels to redirect creeks under the railroad grade and into the Pacific Ocean. 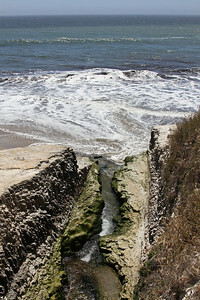 South to north these are Laguna Creek (access prohibited by state park), Yellow Bank Creek (pictured here from Panther Beach), Liddell Creek (pictured here from Bonny Doon Beach), Jah Beach (pictured here), San Vicente Creek (pictured here from Davenport Beach), and Davenport (cliff face on west end, wood gate on east). 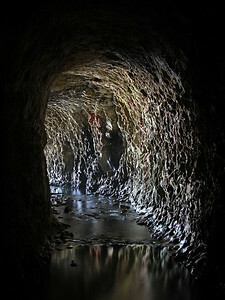 The tunnels were extended during the 1950s for the realignment of Highway 1. 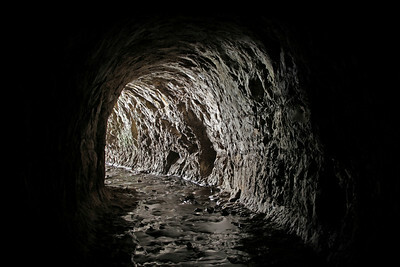 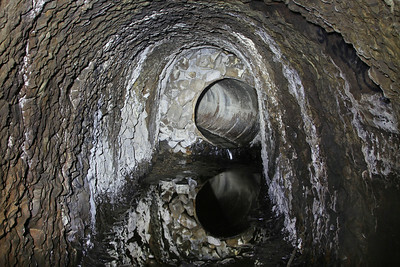 Different methods were used, including a pipe at Jah Beach, separate concrete culvert at San Vincente Creek, and concrete lined tunnel extensions at Davenport, Liddell Creek, and Yellow Bank Creek. 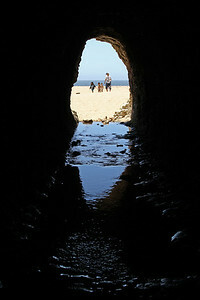 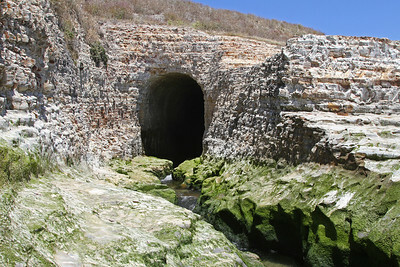 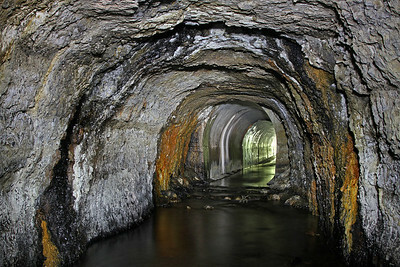 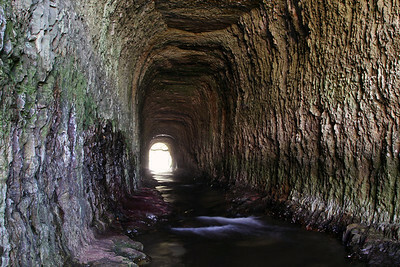 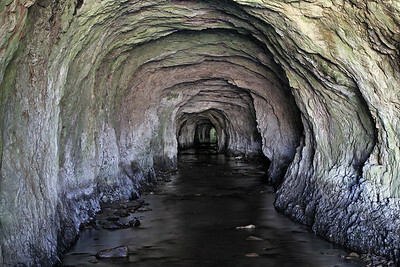 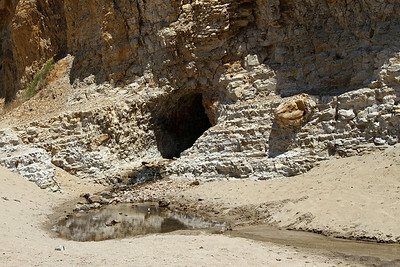 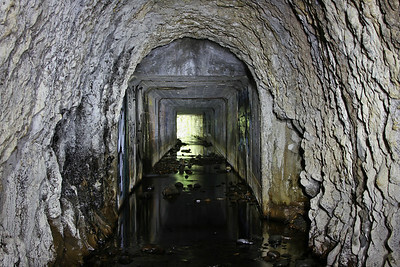 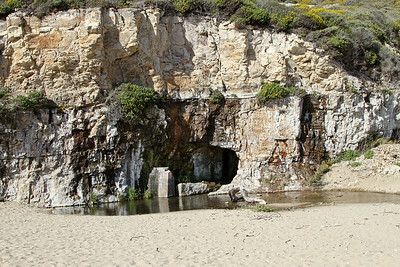 The Ocean Shore RR was abandoned in 1920 but the tunnels still carry the creeks under the adjacent Southern Pacific (now Iowa Pacific as of 2012) railroad track and Highway 1. 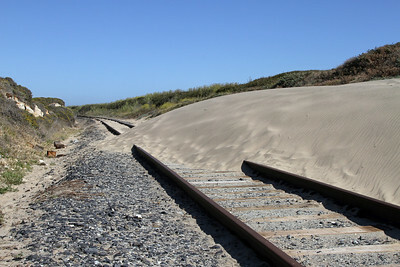 Although the Ocean Shore Railroad was abandoned in 1920, the adjacent Southern Pacific track remained active until the 2009 closure of the Cemex cement plant in Davenport. 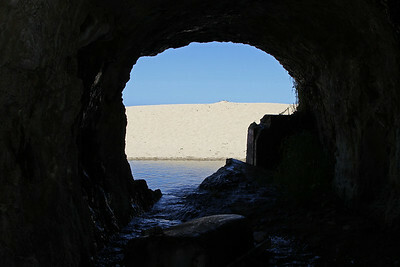 Pictured here in 2012, the dunes are reclaiming the right-of-way above Liddell Creek Tunnel.